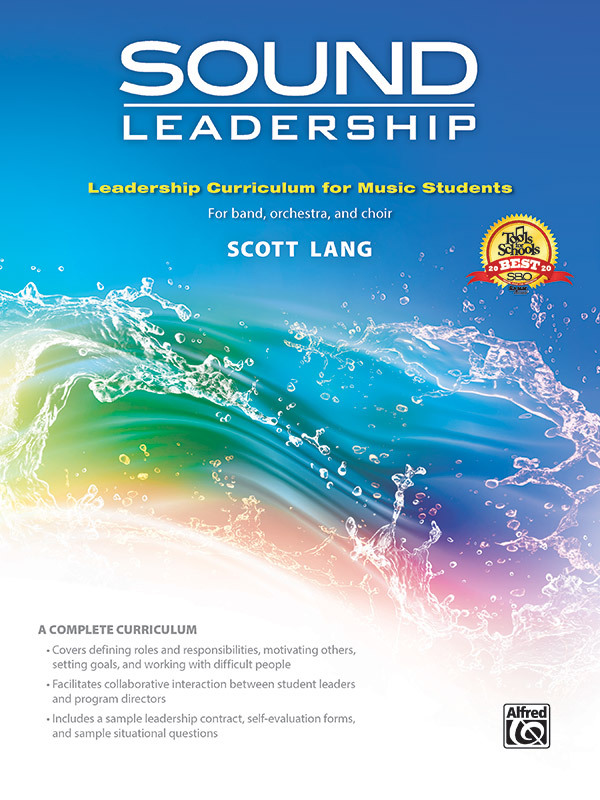 Alfred Music, the leading publisher in music education since 1922, is proud to announce the newest member to the Sound Innovations family, Sound Leadership, Leadership Training Curriculum for Music Students. The opportunities for discussion will allow students to learn and take ownership of their strengths and weaknesses, as well as allow the instructor to assess their leadership team. It's more than a method book—it's a memory book. When completed, students will have their own personal leadership diary to keep, containing their thoughts, ideas, and dreams with which they can continue to reflect on and grow after they have graduated. Sound Leadership will help students in band, orchestra, and choir programs experience significant growth in the classroom, on the stage, and in their lives. Covering topics such as leadership selection, defining roles and responsibilities, motivating others, and dealing with difficult people. Facilitates a collaborative process of self-discovery, goal setting, and team building between student leaders and program directors. Includes sample situational questions along with a leadership contract and self-evaluation forms. Sound Leadership is available for $12.99 at music retail stores, online retailers, and alfred.com.